Photo by François Duhamel ©Disney Enterprises, Inc. All Rights Reserved. 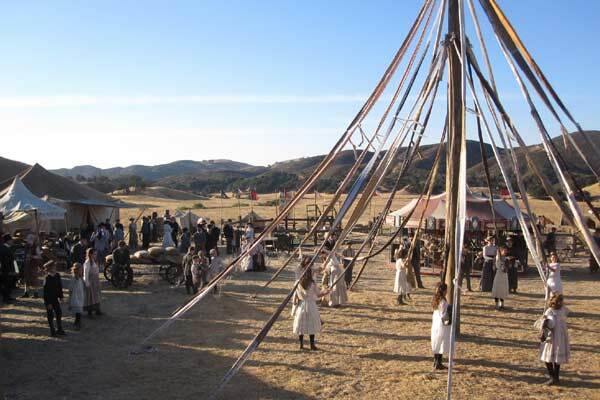 The beginning of the set up…first the Maypole! Photo ©Disney Enterprises, Inc. All Rights Reserved. Benjamin had 1906 newspaper clippings from the actual fair to reference…amazing details, from camel pen to game booths! 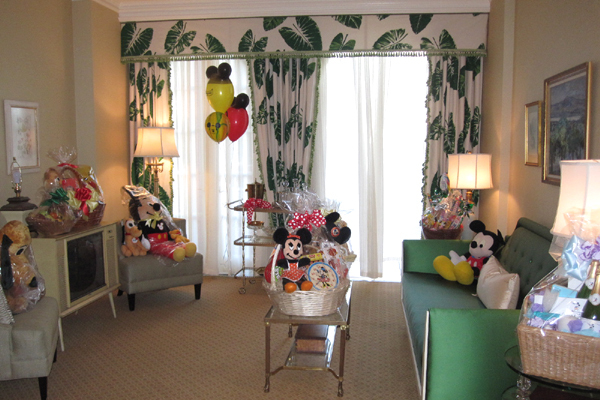 Overwhelmed by Disney’s unwelcomed welcome! 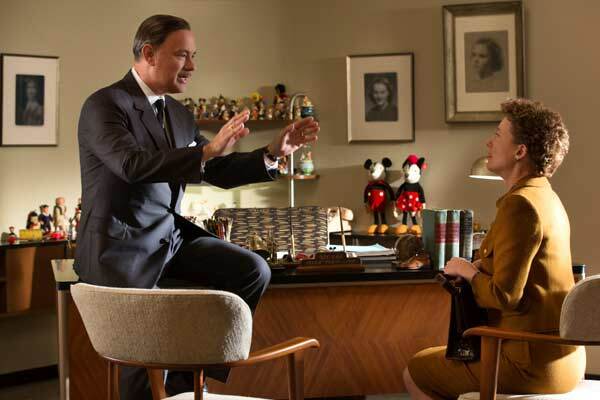 In 1961, Walt Disney [Tom Hanks] invited MARY POPPINS author P.L. 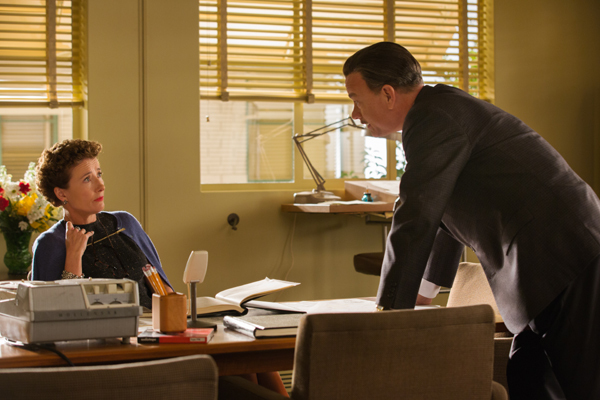 Travers [Emma Thompson] to his studio in Los Angeles to discuss his continued interest in obtaining the movie rights to her beloved book and character, a pitch he first made to her in the 1940s. Still hesitant and disinterested after all those years, Travers wanted to again decline the Hollywood impresario, but with dwindling sales of her books and a bleak economic future looming, she agreed and thus embarked on a two-week sojourn in Los Angeles that would ultimately set the wheels of the beloved film in motion. 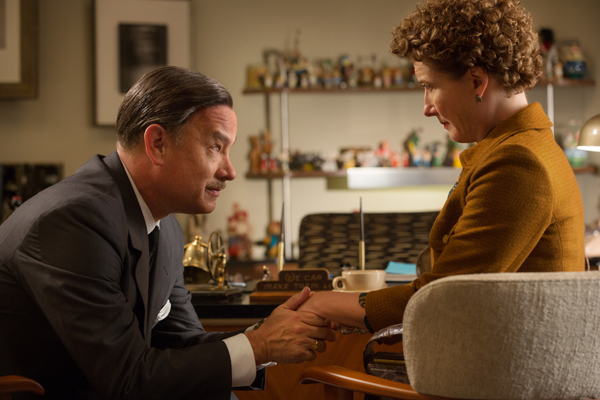 SAVING MR. BANKS is the unfolding of that momentous meeting of two very different minds, the history behind their very dissimilar outlooks and the eventual universally welcomed outcome. 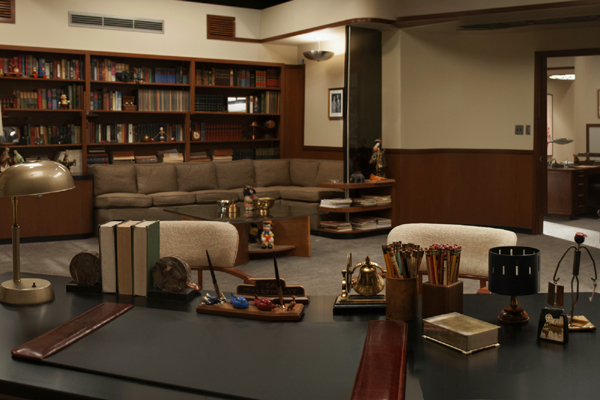 To authetically convey the different worlds these two storytellers inhabited and Disney created, Hancock brought in his ultra-talented team from THE BLIND SIDE, Production Designer Michael Corenblith and Set Decorator Susan Benjamin SDSA. My skepticism only subsided when I signed my deal memo and read the well-written, poignant and moving script by Kelly Marcel. The story unveils the troubled childhood of author P.L. Travers, nee Helen Lyndon Goff, takes us through the creation of the beloved Disney classic film, and gives us a glimpse into a life that closely resembles the character in the books on which the movie is based. 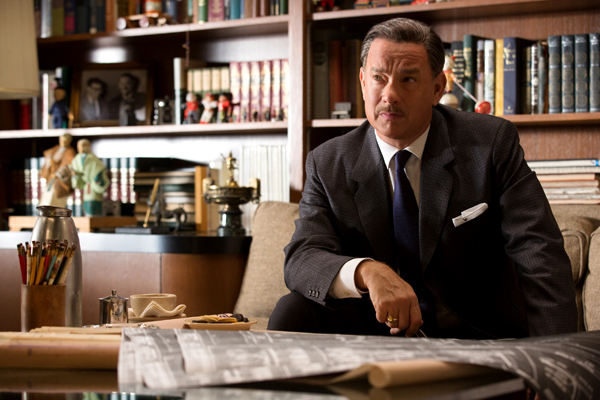 The script also depicts a Walt Disney that was more businesslike and humanly flawed than has ever been revealed on film. To create the worlds of these two childhood icons would have been incredibly intimidating if not for my previous experience working with John Lee and the trust and inspiration he places in the collaboration I share with Michael. By the time I began working on the movie, Michael had already mapped the script in to three distinctive parts. 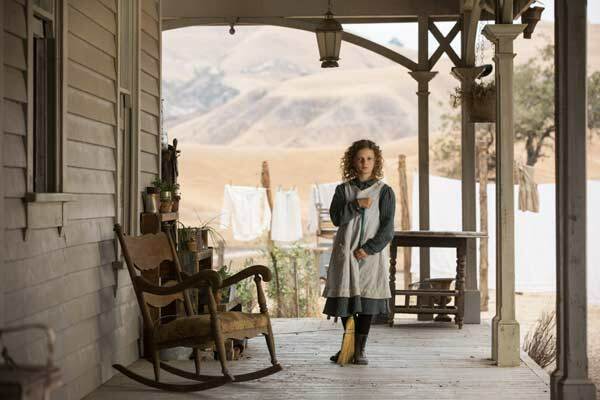 The first part was P.L.’s childhood in Australia in 1906. We began in an upscale home in Maryborough and quickly tracked the journey from lush green abundance to the dryness and desolation of Allora in the Australian outback. As with all period movies, research is key in creating authenticity and for inspiring ideas for color palettes, textures and the living details. These are the little gestures as simple as a torn curtain, dishes in the sink, ointments or books on a bedside table that reveal a lot about a character or a time period. We were fortunate to have Australian producer Ian Collie on the project, who with the help of researcher Lisa Fiorito, along with the owners of the original Goff home and the librarians from The Mitchell Library in New South Wales, procured articles and photographs of Maryborough and Allora during that time period, as well as photographs of P.L. throughout her life. We created huge reference books from these photographs for everybody on the production to browse through. This is one of my favorite parts of working on a period piece. 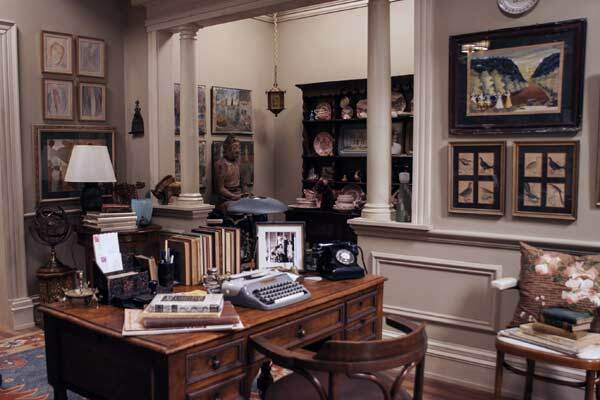 By immersing ourselves in photographic research, we began to have an innate understanding of how people lived, so we were then able to create sets that looked more like real life than staged portraits. The books also helped my buyers and me become very adept at spotting period-correct items when we were shopping for the film. Even with all of this research, it’s often difficult to know where to begin. On every set, there seems to be one central item that somehow defines the character for me when I see it, and I build on that foundation. The key piece that defined the Goff house in Allora, was an old faded blanket from Archive Edition Textiles. When my talented buyer Joanna Vanesky, and I went to visit purveyors Paul Freeman and Nancy Eaton for the first time, we were overwhelmed with the amount of fabric items they have from all time periods. They are true curators of all things tactile and were very instrumental in helping us narrow down the kinds of textiles we needed. When we found the blanket amongst the many boxes of folded history they have in storage, I knew this item revealed the beauty, history, and deterioration of the Goff family. The palette in the outback was brown, faded, and well worn. We wanted to create a feeling of a place that was built imitating the wealth and fortitude of Great Britain but had clearly been worn down by the harsh elements that are the reality of Australia, much like P.L.’s father, Travers Goff [Colin Farrell]. 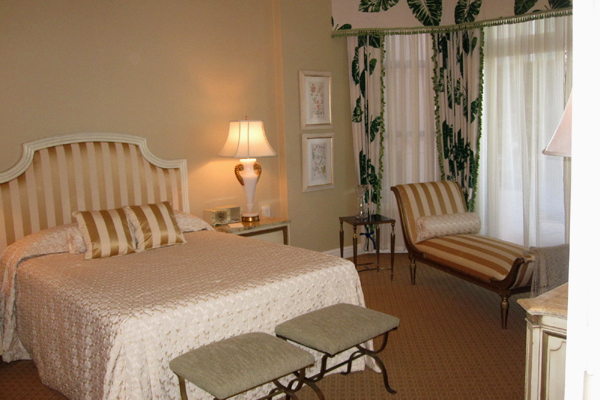 Once we chose our textiles, the rest of the furnishings came more easily. 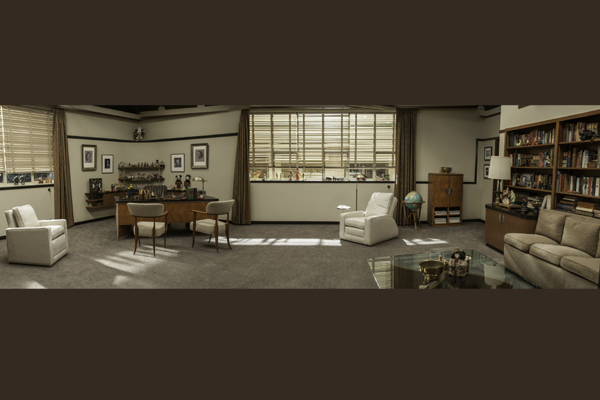 As usual, we were working on a tight budget and schedule, so we took advantage of working in Los Angeles and procured most of our furniture from Universal, Omega Cinema Props, and many other prop houses. While we sourced the lighting from all over the United States, we were pleasantly surprised at the amount of period lighting available off the shelf at Warner Bros., House of Props and Universal. With a little bit of doctoring, we were able to make a lot of it work for our purposes. 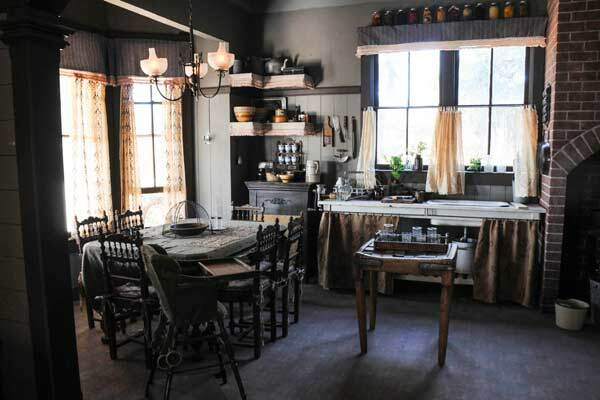 It is tricky to work with period lighting, as all of it would have been gas fixtures or candlelight, but flames are not an option on the sets for obvious safety reasons! Cinematographer John Schwartzman helped us film some of the flame light bulbs during the camera test, so we were able to determine what shades and glass would work best. 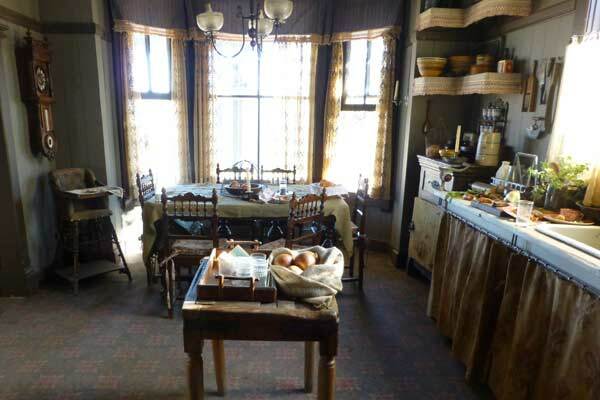 We were so grateful that he was shooting the movie using “old fashion” film which, along with John’s obvious mastery, helped enhance the colors and textures of our furnishings. 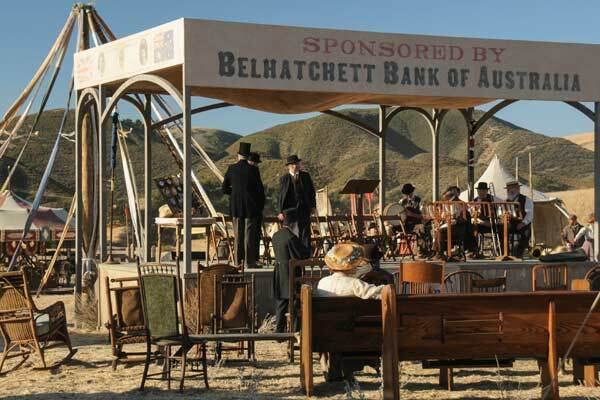 Besides the Goff home, the other big set from 1906 was the agricultural fair that we filmed up at the Big Sky Movie Ranch in Simi Valley, a convincing backdrop for the Australian outback. As always, Pam and Jim Elyea from History for Hire were so incredibly generous with their research and inventory. 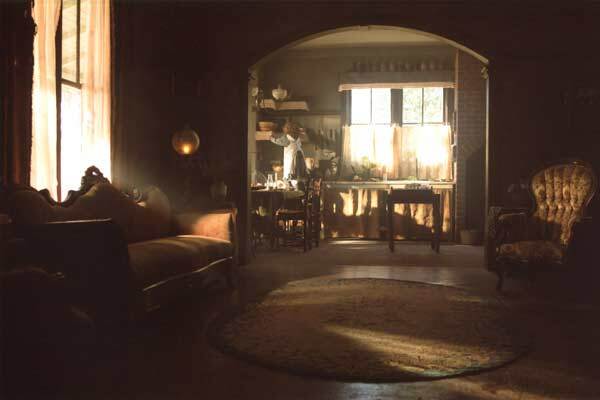 But the true coup de grace came when they introduced me to Australian set decorator, Suza Maybery. Suza found an article in a local paper from 1906 that described the agricultural fair that actually took place in Allora at that time and mentioned “the esteemed Banker, Travers Goff and his wife.” The article went on to list the types of events that occurred and the prizes that were awarded. 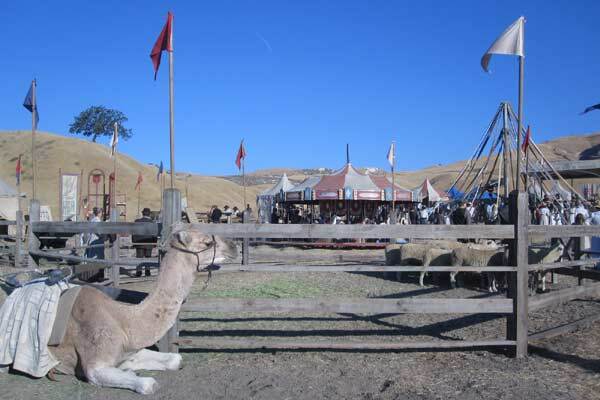 My favorites that we re-created were the camel rides, the sheep-shearing and the kangaroo pens that made all the hard work in the heat worthwhile when the animal wrangler magically appeared with the animals on the morning of the shoot. With the help of amazing Drapery Master, Deborah Jones, we created a beautiful hand-sewn Maypole that was the center of the fairway. The canvas tents that we filled with all sorts of period games and merchandise were complimented by the beautiful signage created by Graphic Designer Martin Charles. We worked closely with all the Disney factions, from the Archives Department in Burbank and the Disneyland prophouse in Anaheim to the Walt Disney museum in San Francisco. Of all the sets in my career, this was the one I knew had to be correct… not only because they were my employers, but also for the millions of opinionated Disneyphiles all over the world! The research was available in abundance, but procuring all the details took a bit of time, as did making all of the furniture. To begin with, Joanna and I visited the vast prophouse at Disneyland that rivals any of those we have worked with in our film and television careers. It was like entering Santa’s workshop, only a bit warmer! This warehouse and the people employed there work around the clock in all seasons to create the magic that is the Disney theme park. We were able to go through boxes of stored props that were carefully archived and labeled from the last 50 years of decorations. 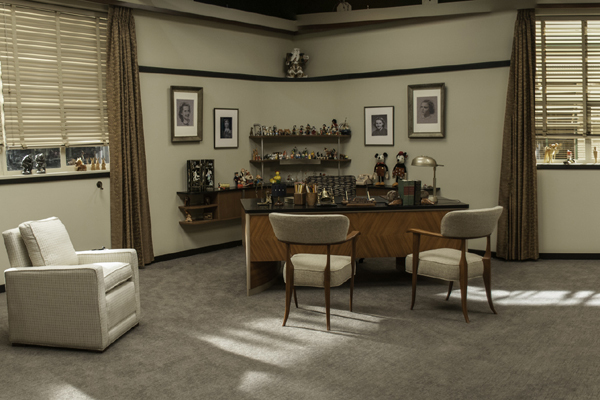 This is where we began to assemble the items in Walt’s office. With the help of Producer Phil Steuer, we were able to get the original Academy Awards shipped to us from Orlando, Florida, to use on the set. Holding the Oscar awarded for Mickey Mouse was surreal! Our collaborators in all of the departments at Disneyland and in Burbank helped us remake the original attraction posters at the entrance to the park and, with a lot of effort, re-create the original Mickey Mouse balloons. 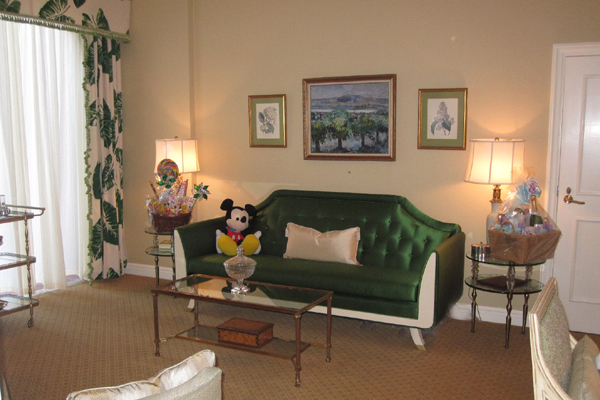 Working in and around the park before it opened was thrilling, as was the tour we had of Walt’s private living quarters. Seeing how much he loved the park and how carefully he positioned himself to oversee its creation gave me a new level of respect for this visionary, and made me strive even harder to re-create the set decoration as accurately as possible. Richard Sherman, one of the Sherman Brothers who actually wrote the music for MARY POPPINS, was incredibly generous with his time and knowledge during the making of SAVING MR. BANKS. It was so much fun to go to his house and hear his stories and discuss how he and his brother Robert worked together with Walt Disney. We were also very lucky to have a passionate and engaged producer, Alison Owen, who flew up to the Walt Disney museum with me and introduced me to their wonderful curator and archivist. The museum generously supplied us with PDF files of all of the awards, certificates and artwork that Walt Disney had earned in his lifetime which graced the trophy cases and walls that lined the offices, and allowed us to reproduce them for the movie. 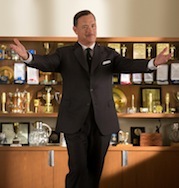 Although we won’t be able to publish the true photographs of the Disney girls that hung behind Walt’s desk or the plethora of Oscars® in his trophy case in this article, they will be in the final cut of the movie. We filled the entire top of the case with his actual Oscars®, and we re-created the SNOW WHITE Oscar® that was custom made for him. 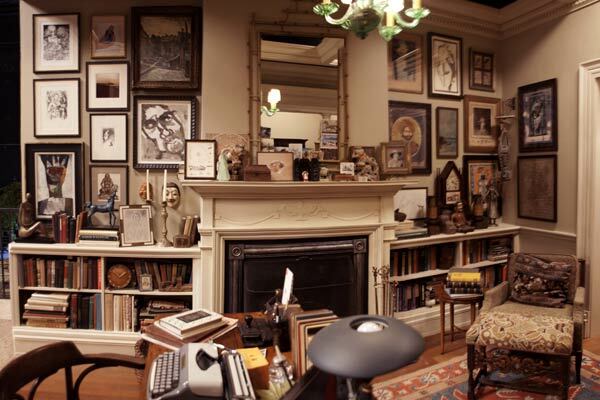 For the third portion of the movie, we created the London townhouse of P.L. Travers in 1961 and 1964. 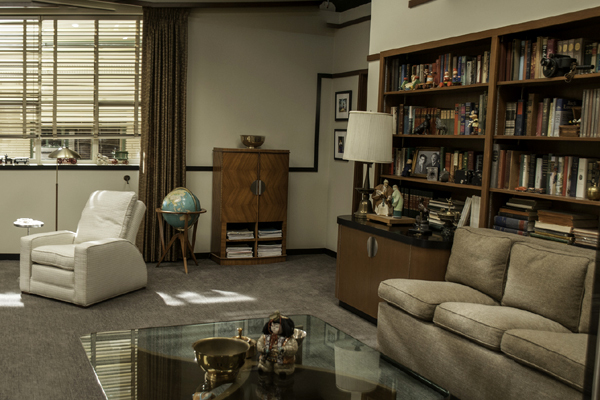 While re-creating the Disney offices seemed monumental, creating the interior of P.L.’s home was actually more daunting, as there was not a lot of photographic research that we could draw upon. 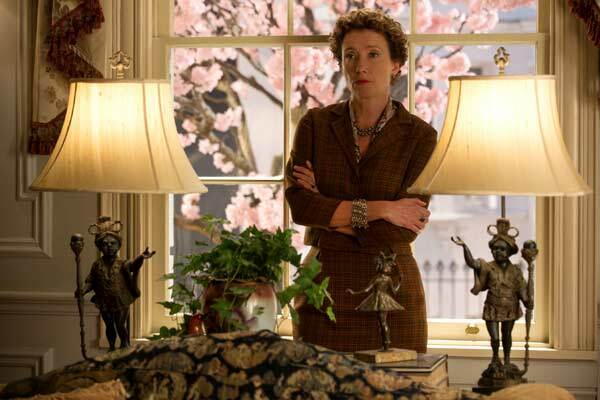 I read many books and articles by and about Ms. Travers in order to get a sense of her life and how she might live. Wandering through used book stores for inspiration, this time I drew upon a book of watercolors that I found by Los Angeles artist Bessie Mona Lasky. Joanna and I gathered furniture, sculptures, books and artwork from the early 20th century, that were reminiscent of the objects P.L. might collect and people she would know. 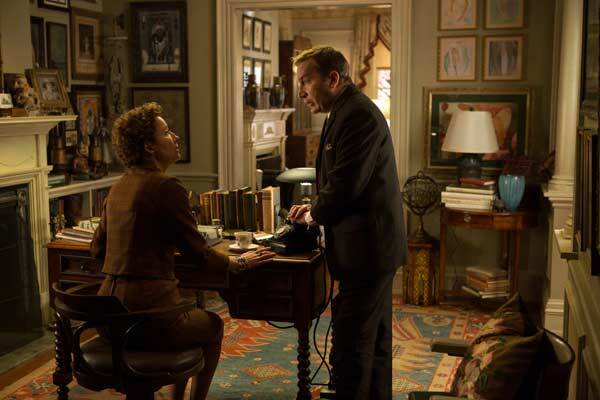 As her declining finances were a part of the reason she agreed to sell the rights of her beloved MARY POPPINS to Walt Disney, the furnishings, though handsome, were somewhat worn and dated. 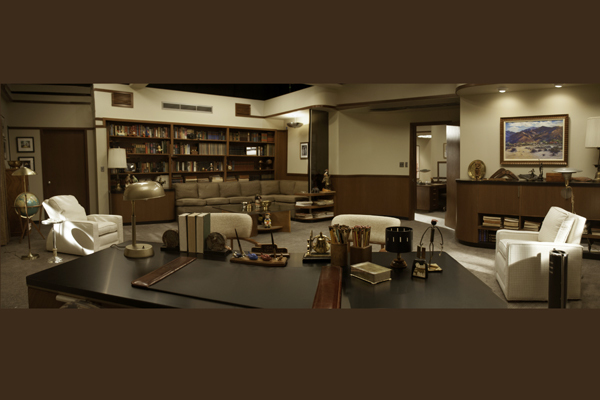 I think of all the sets in the movie this one was, for me, the most interesting, as I felt like I got to know P.L. Travers quite well through the process of creating her visual space. 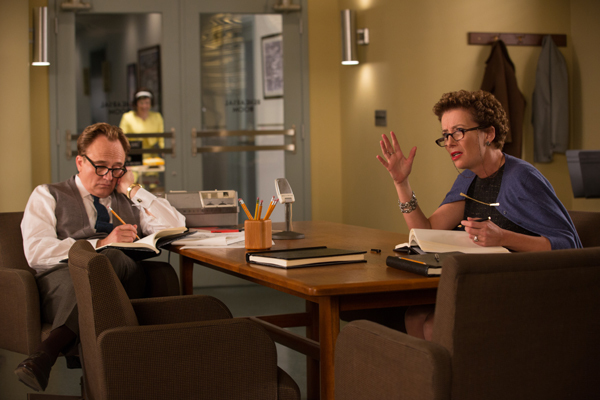 I loved seeing it all come to life when Emma Thompson walked onto the set. 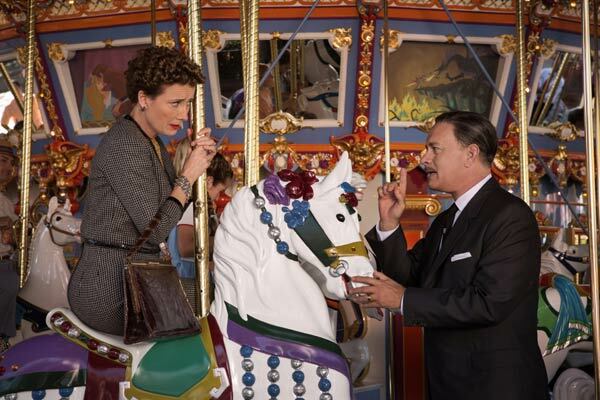 The making of SAVING MR. BANKS was a true labor of love for everybody working on the project. 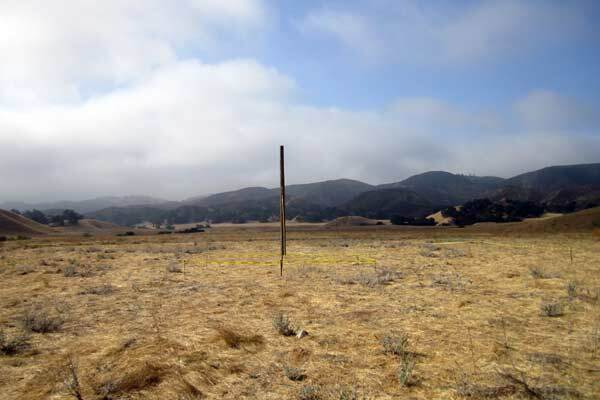 We shot in Simi Valley, Anaheim, Ontario, Pasadena and Valencia creating sets for 3 different countries and 3 different time periods…all in less than 40 days. You are only as good as your crew, and in this case I think became even better with the help of my amazing Leadman, Joel Prihoda, and his experienced team of set dressers. Emma Verdugo, the set decoration coordinator, also provided a calm nucleus for our team during all the chaos of production. I would like to acknowledge all of the amazing participants who worked on this film, as I think the passion that all departments showed for this project is reflected in the final movie. It was a gift to work with such a talented group of people who were all equally committed to telling this iconic story as lovingly and authentically as possible.